Ever since Don worked for InterVarsity planning the big Urbana conference, he’s known how to secure university housing. 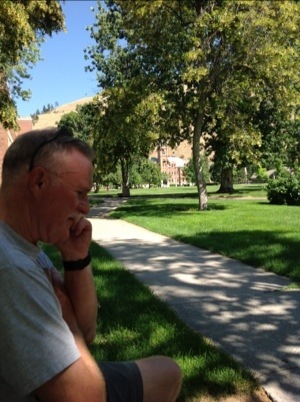 Tonight we’ll rent a dorm room at the University of Montana in Missoula. 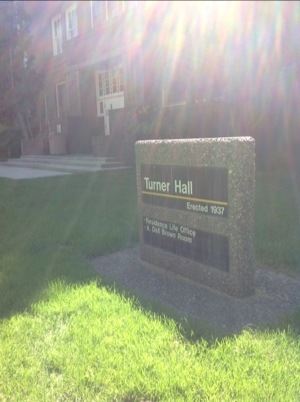 This entry was posted in travel and tagged dorm, Montana. Bookmark the permalink. Is Don talking on a cell or just being pensive? Cell phone. Probably talking to you!